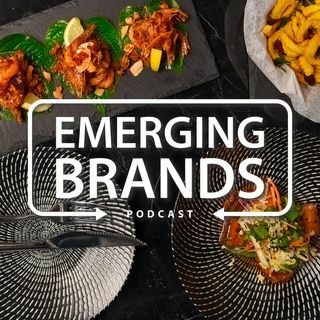 Emerging brands are redefining the restaurant business with innovation, and creativity by taking the road least traveled. We explore the trailblazers that are creating a whole new expectation in food today. This podcast is a must listen if you are just beginning your journey or a veteran seeking a new direction to success for your brand. You'll get insights, ideas and action items from the best leaders, change makers and innovators in the business, as they tell the story that has set ... See More them apart from the rest of the field!